I spent a wonderful day in Sacramento, at the State Capitol, last week, when painter Molly Corbett Kruse and I picked up our paintings, which had been on exhibit in Senator Pat Wiggins's office. Koren Benoit, art curator, gave us one heck of a great tour of the artwork, which was followed by another marvelous tour with a Capitol Museum docent. 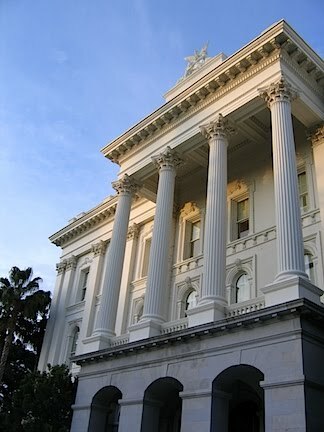 So, now, do I ever have stories to share here.... My next few posts will be written about art and the Capitol – the paintings, their stories or the stories people tell about them now – a little bit of the intersections of art and politics here in the Golden State.